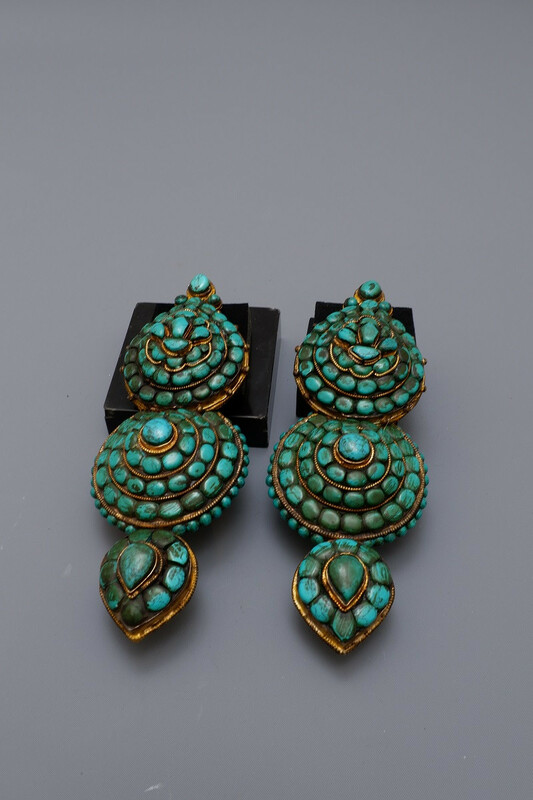 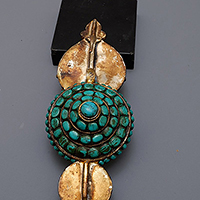 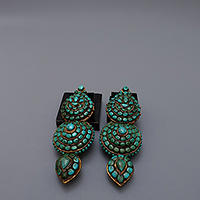 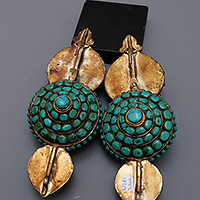 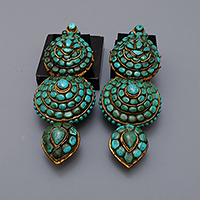 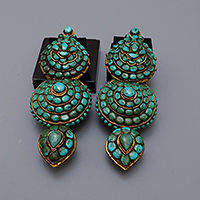 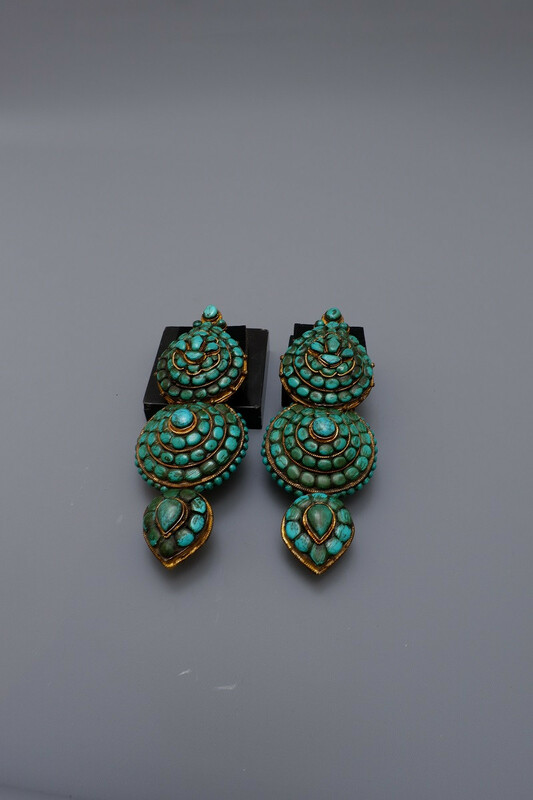 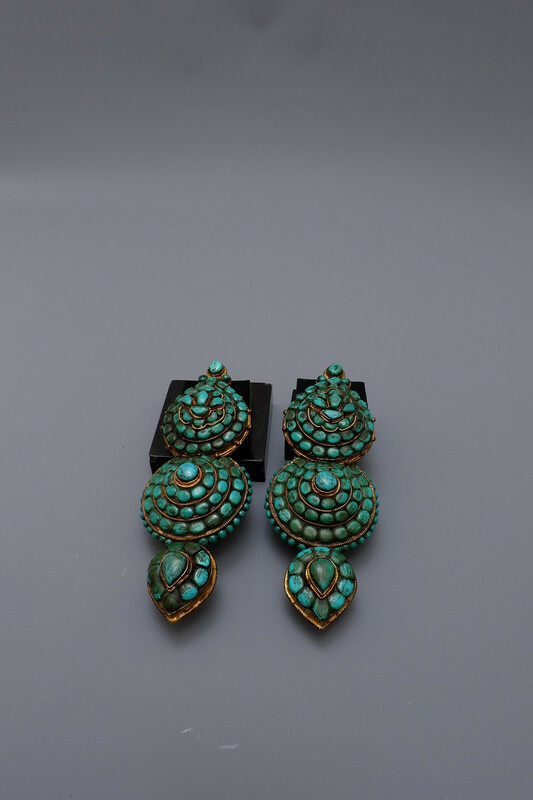 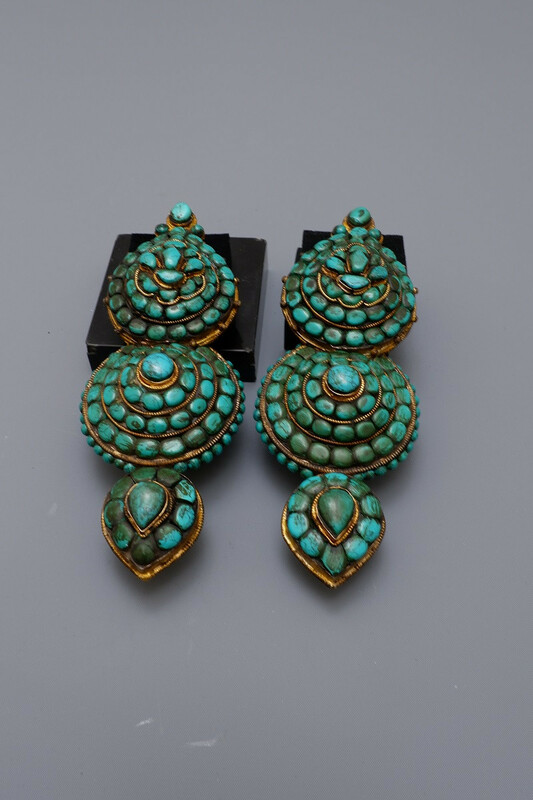 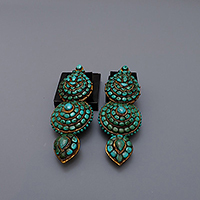 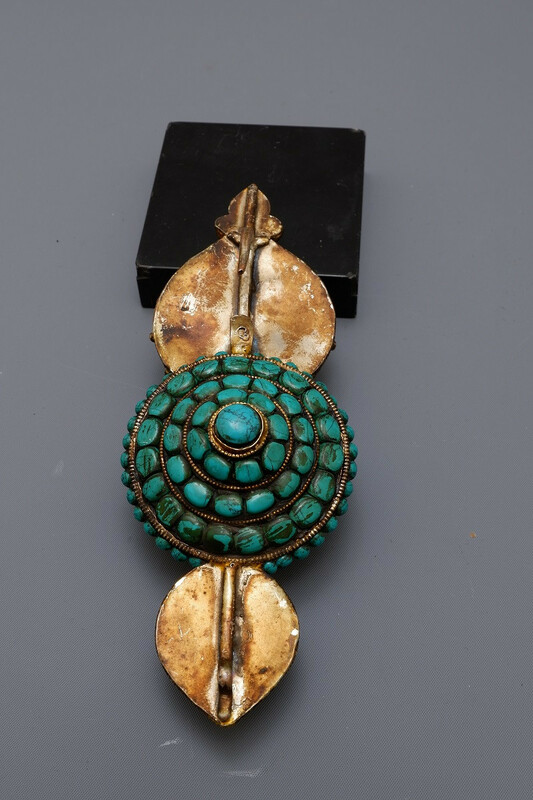 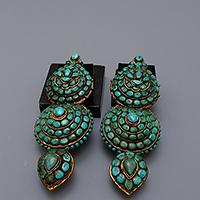 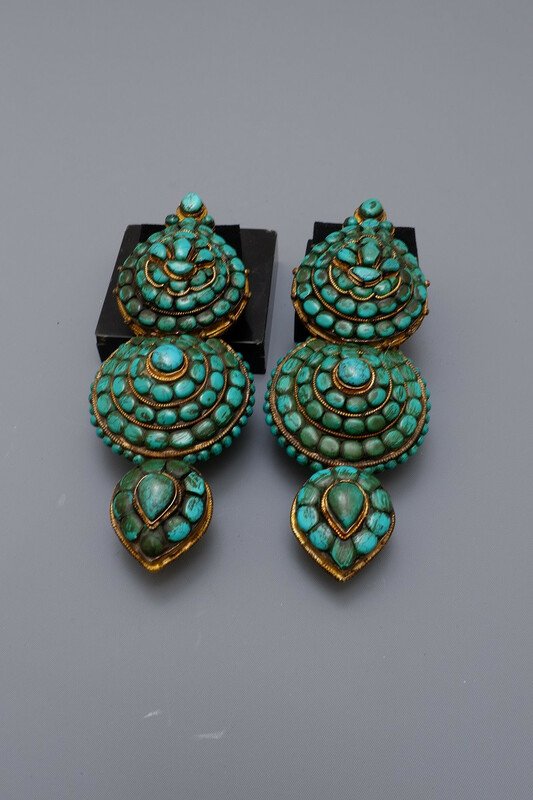 Lhasa women in Tibet used to wear this type of ornament for ears with at the bottom a nice design of a Lotus buds. 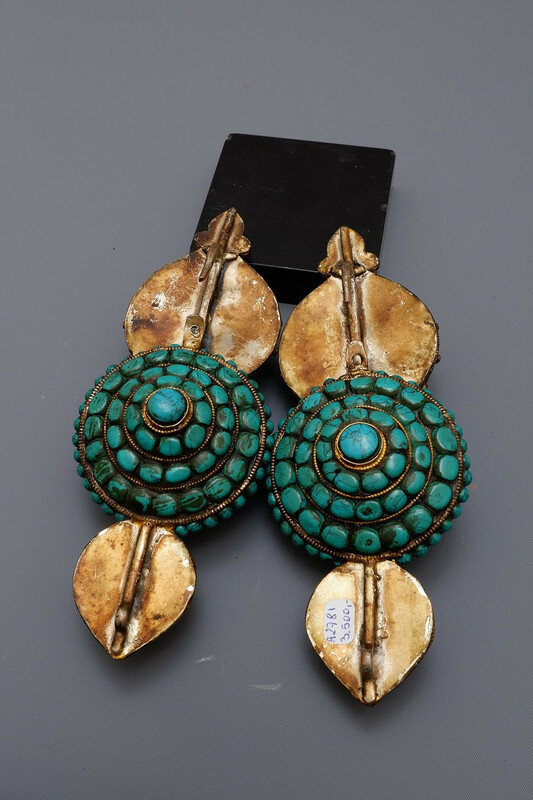 Called "AKOR" these ornaments were worn on both sides of the face. 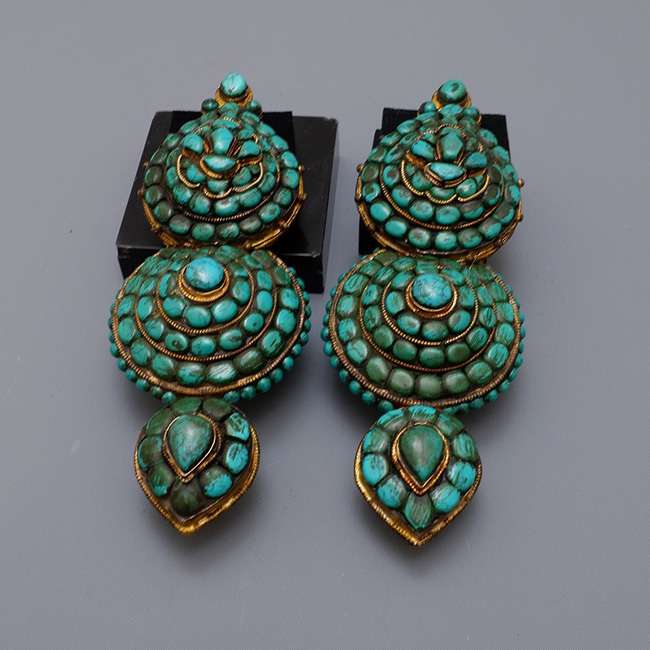 Due to their considerable weight they were either attached with hooks to the headdress or hung over the head.This type is found as a decoration on the sides of the tombs of the 11th till 13th century Dalai Lamas in the Potala Palace.